1942 Just slept late Dutch worked evening tour again I crochet tonight & waited up for Dutch. 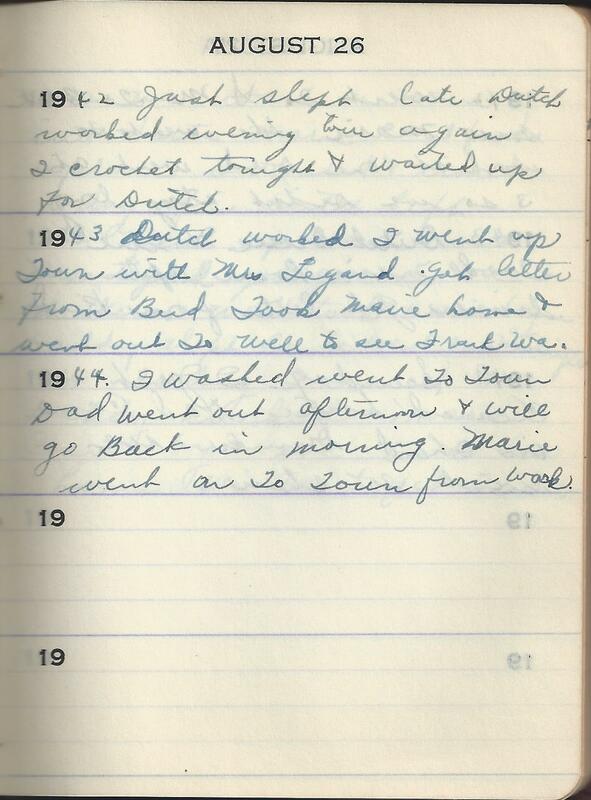 1943 Dutch worked I went up Town with Mrs Legand Got letter from Bud Took Marie home & went out To well to see Frank Wa. 1944 I washed went To Town Dad went out afternoon & will go Back in morning. Marie went in To Town from work.